Chers amis,I’m very pleased to invite you to the official launch of our new FOUNTAINE PAJOT MOTOR YACHTS, the CUMBERLAND 47 LC,at the Cannes Boat show, on our booth on Tuesday, the 11th of September, at 5 PM. 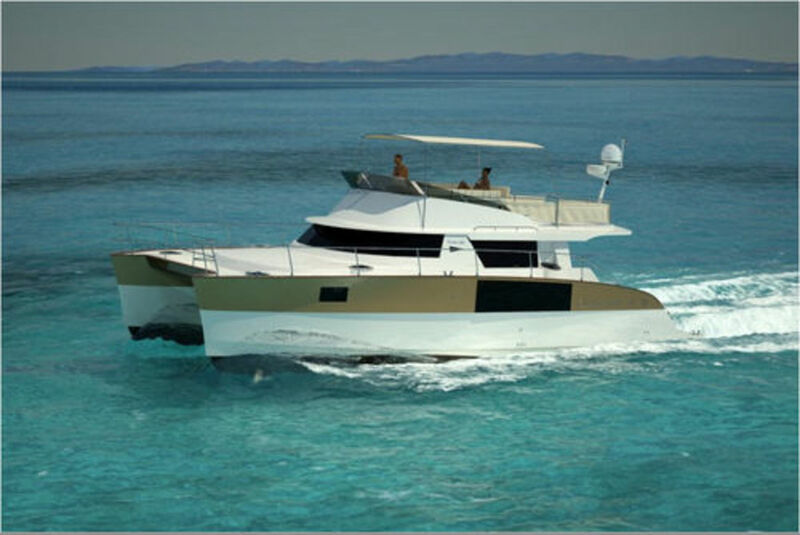 All our range will be exhibited, and it will be possible to organize a sea trial of the CUMBERLAND 47 LC or QUEENSLAND 55 after the show. 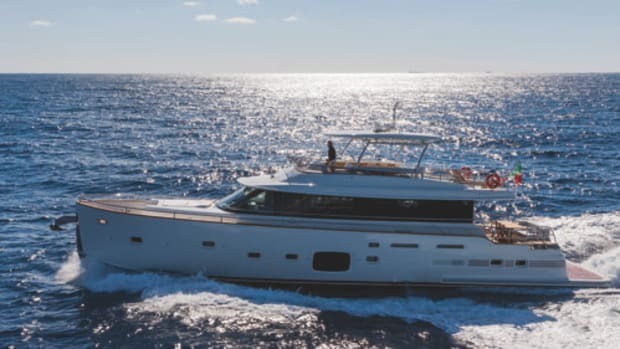 What could I say but, “Mais, Ouis!” Well, that’s what I wanted to say when this invitation popped up in my email from Hélène de Fontainieu, the communications and marketing manager for Fountaine Pajot Catamarans. The French Riviera in the Fall, sparkling blue waters, and a day or two handling some of the best known luxury power catamarans France has to offer. How could I say no? 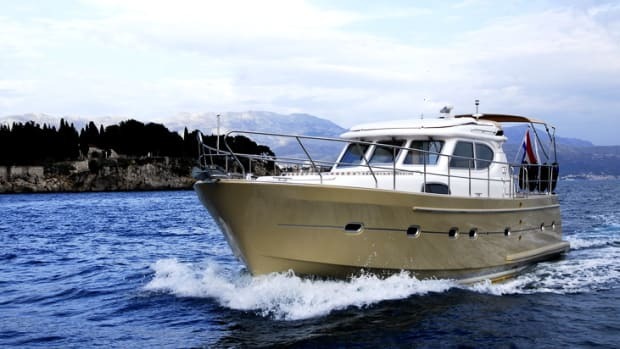 The new Cumberland 47 LC is a spacious, semi-displacement platform for distance cruisers, designed by the well-known naval architecture firm of Joubert-Nivelt. 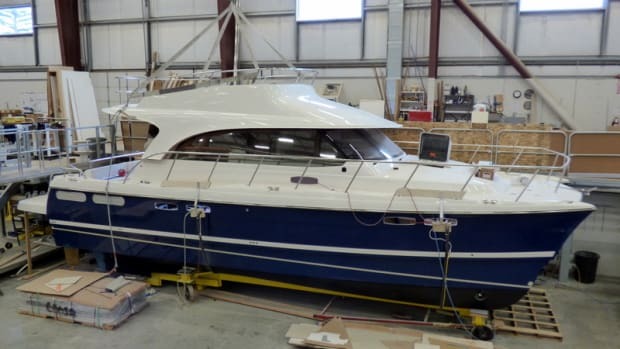 Compared to the Summerland 40 which I had the opportunity to tour and test late last year, and which will be the subject of a feature in our November/December 2013 issue, the Cumberland 47 LC is longer (46.06 ft. to 40 ft.), beamier (21.63 to 17.7 ft.), and just slightly deeper (3.63 ft. to 3.51 ft.). 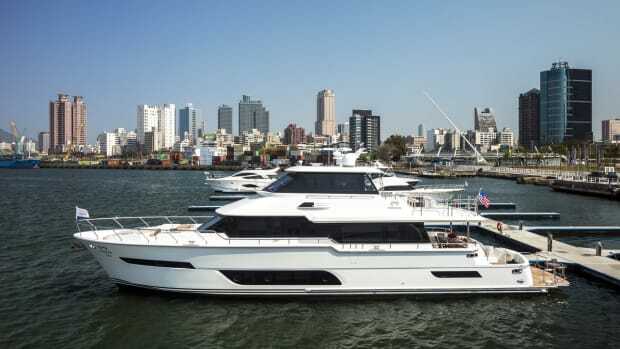 Standard power for the Cumberland 47 LC is a pair of 220hp diesels, with a long range tankage of 634 US gallons, and twin 200hp Volvo Penta inboards with 370 US gallons for the Summerland 40. Hulls and decks are manufactured using the resin-infusion process for precisely engineered structures that are light and strong. The Cumberland 47 LC is designed to dry out on its own bottom, and features skegs to help prevent damage to props, shafts and rudders. Each engine compartment is sized for convenient access, and each engine is served by its own fuel tank and electrical circuitry. 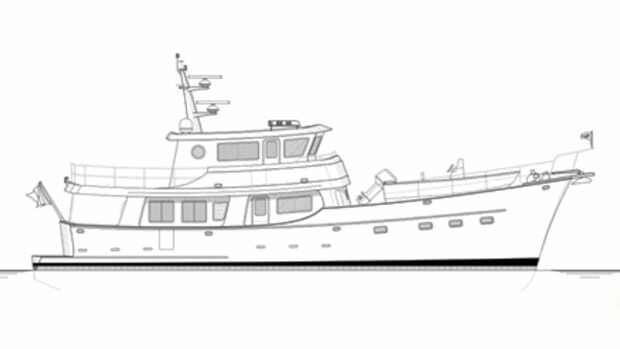 There are three- and four-cabin layouts available with accommodations in the hulls, all with private en suite heads. 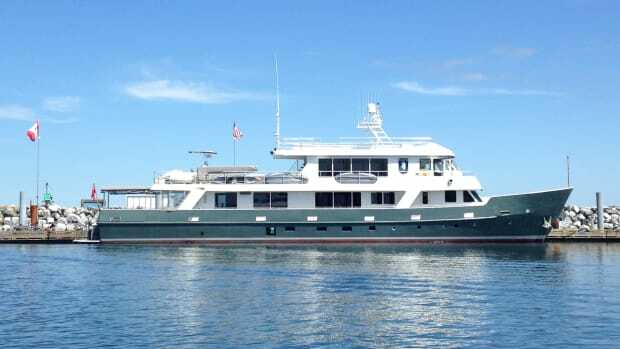 The massive saloon has a large galley to port and a lounge to starboard, as well as a wide and spacious protected lower helm. 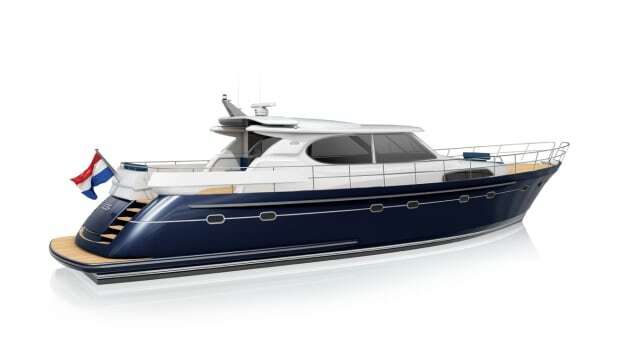 The aft deck is well sheltered from the elements, has a built-in bench seat (there’s also one on the foredeck) and offers molded spiral stair access to the flybridge. 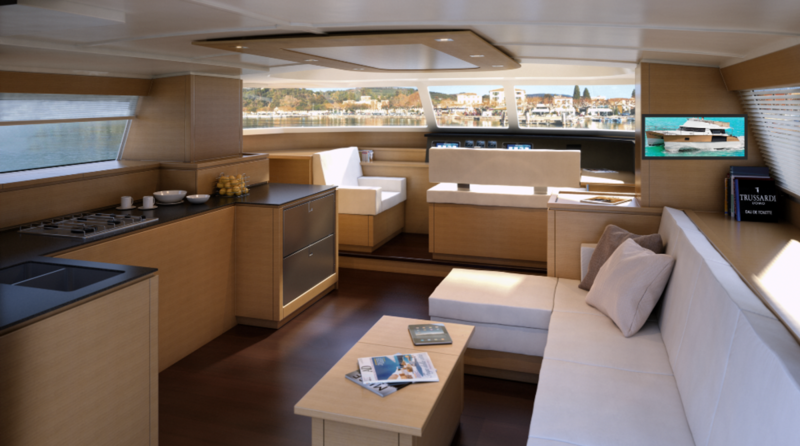 There is seating for a crowd on the flybridge, an optional outdoor kitchen and room for lounging or sunning aft. 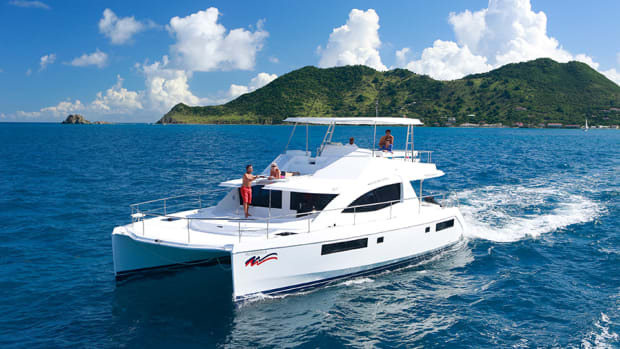 Log on to www.fountaine-pajot.com for a video, a 360-degree visual tour, and other information on the Cumberland 47 LC. 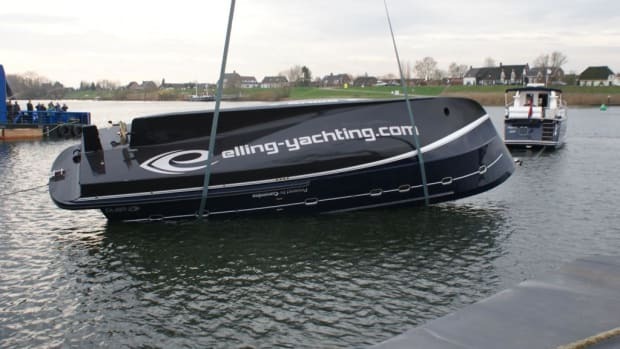 Since I’m not going to make the Cannes Boat Show, I’ll join you online.